Hey friends, let’s live a space opera tonight ! In Lusio is a new concept of immersion game for 4 to 6 people, so ideal to have fun with friends or family. 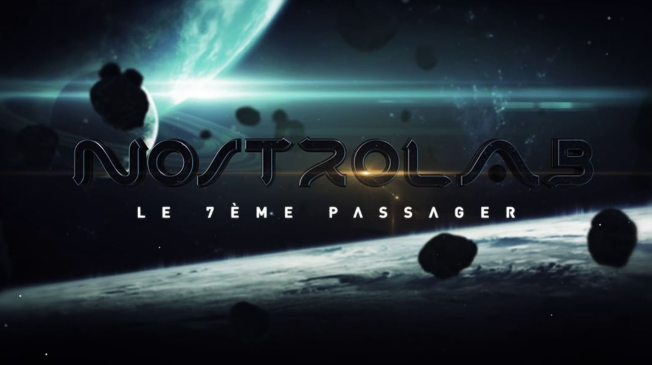 The adventure called Nostrolab immerses you into a scenario worthy of a space opera that will enjoy Sci-fi fans and space fans. That’s an adventure “bigger than life” as announced at the entrance of the building. You wake up in 2099 aboard the Nostrolab, a spaceship in very bad condition after a meteor shower. Once you have donned your spacesuit, your mission is to restore the spacecraft in distress, then to shelter you in a space station nearby (a few light-years away…). But beware : strange events are taking place on board and it seems that there is a seventh passenger! Cohesion, coordination, reflection… It will be necessary to concentrate all the qualities of your team to succeed the mission. You will also have to keep cool because there’s a lot of stress up there, when “PIT” the onboard computer reminds you of the critical level of oxygen reserve, and to deal with the many unforeseen that you will encounter. The designers of Nostrolab focused the scenario on actions to be executed in different parts of the spaceship to repair it, with a very immersive sound and visual environment. The rythm of the adventure is strong, it lasts an hour but time passes very quickly thanks to the captivating story. The grand finale is thrilling ! Learn more about the Nostrolab adventure on the In Lusio website and on the In Lusio Facebook page.